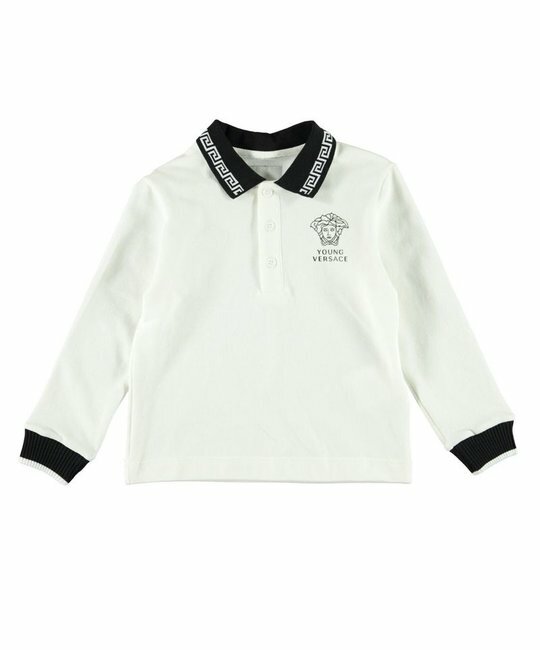 Young Versace soft cotton white golf shirt with contrast black detailing and medusa print on chest. 100% Cotton. Made in Italy.